Me? Well, what can I say… I am an Artist, a Spiritual Traveller, a Lover of Cats and Kin to the Trees. I am a woman who identifies as many things that intersect and create the unique Spirit that I am. My pronouns are she/her, I honour all identities and hope to be welcomed the same. I recognize and respect the privilege I hold to stand for those who are struggling and may not have a voice in our society. My spiritual path lays in the lands of Celtic Shamanism, and I am living my Soul Dream of being in service to others – to the world. Haven is truly what its name implies; my haven. I have wanted to bring beautiful, inspirational, spiritual art and healing to the world since I first picked up a paintbrush over 25 years ago. My art found a muse in the depth of mythology and folklore, which has evolved and transformed toward using these energies for deeper understandings of the human experience of Spirit. I walk as softly upon the Earth as I can, attempting to navigate the twists and turns along the Path set before me. I am guided by the Divine Feminine and Masculine, in all their aspects and manifestations. I worship the Earth and attempt to live by Her seasons. I have three feline fur children which live with me, and they are fundamental to my life. The Other-Than-Human people of our web of existence are recognized and honoured in my traditions. I’ve been on my spiritual path for 25 years… at first I studied alone, as I was ever a solitary creature. And then came the day when I ventured out of my introversion and stepped into the Alberta community; my horizons not only expanded, they exploded! I attended a local festival and went on my first shamanic journey… and discovered my Spirit Allies waiting. I discovered my Celtic, Norse & Germanic heritage had much influence on my desire to commune with the Gods… and that community is filled with incredible people & raising energy with others is an extraordinary experience! The zenith of this for me was when I celebrated Samhain in Salem, MA – I was given the opportunity to partake in a candlelight vigil walk to and from Gallows Hill for those killed during the witch-trials, and to participate in a circle with hundreds and hundreds of people to celebrate the magic of Samhain – I was overwhelmed by the Love and Light created there. I then went to a curse-removal workshop held by Master Shaman Kriket, from our Edmonton community. During the journey, a cord was infused with the symbolic energy of my curse and cut off me. My instructions were to bury it. A few weeks later, I traveled to England and Ireland on a solo journey that was life-changing for me. I walked ancient sites, felt the power singing through the bluestone at Stonehenge, drank from the Chalice Well, stood atop the Isle of Avalon, walked stone circle after stone circle in Ireland, ventured around and into New Grange and Loughcrew… and for Beltane, I spent the day at Beltany Stone Circle (Ireland) where I buried my curse, there in its center. I felt the power of that place rise within me, filling those holes that I had carried within my Spirit. I felt incredibly, brilliantly… free. Since that time, I have followed many spiraling pathways towards this point here, today. I kept studying, training, and practicing. I discovered how fundamental ceremony and ritual is to the health of our human psyche, and that when people are given holistic healing opportunities that empower them, they finally find the health they are seeking. I spent some time looking for the Path that would lead me to my Soul Work. I was finally directed onto this Pathway when I found the postgraduate art therapy training offered at the Kutenai Art Therapy Institute, nestled in the mountains of Nelson, B.C. My training required multiple journeys over the mountains and toward the setting sun, traveling deep into dark forests and the bottomless pools of my Soul. I emerged a Changed Being – a Woman with a new Shape. I wrote about my experience in my book, Shapeshifter. Click HERE for more information or to order. I have many aspects, many sides… I’ve had a myriad of careers over my life, from a florist to an officer, but I always wished in the secret place of my heart to make my work about what I love, what inspires me, and what will be of service to our world… painting, creating, supporting others, walking beside other Spirits while they walk difficult parts of their own Path, guiding light and healing into their lives, and to do all of it as fairly as I can. Haven is a part of me, and I, of it. I hope it brings you Beauty and Light and Joy. Nikki is a professional, spiritually integrated Art Therapist who enjoys lifelong passions for art, healing, spirituality, cats, trees, and the sacredness of the everyday. Her therapeutic approach is Feminist, Anti-Oppressive, Person-Centered, and Spiritually Integrated. All humans are safe and supported at Haven. 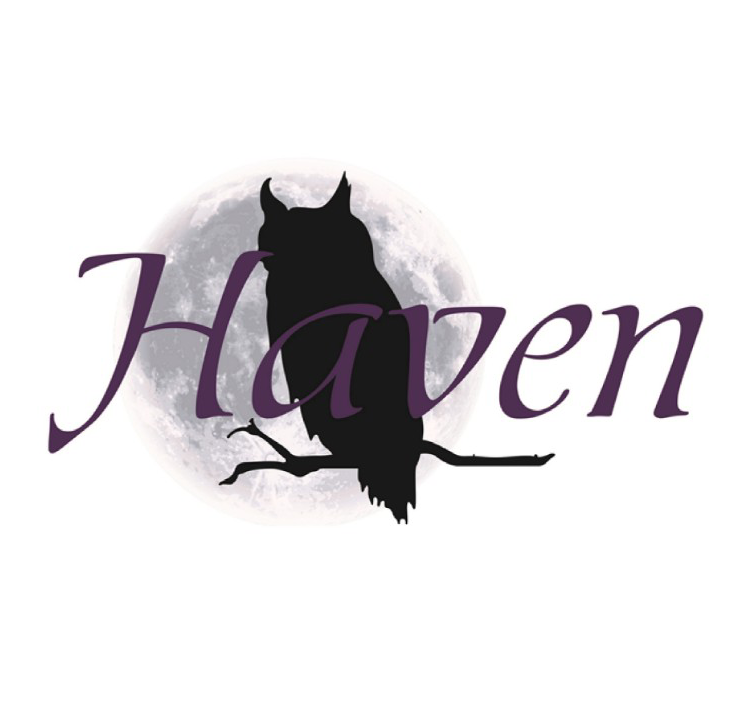 She opened Haven Art Therapy Studio as a private practice, where she provides Art Therapy counselling, as well as ceremony and ritual support, Reiki, healing workshops, and creative healing retreats. Nikki specializes in including the spiritual components of the human experience, and welcomes all faiths and/or spiritual beliefs into the spaces she creates. Nikki authored an e-book titled, Shapeshifter: One Woman’s Journey through Creative Spiritual Transformation, which details her own healing journey and the development of the Shapeshifting Art Therapy process. All types of art making are supported and celebrated in art therapy, which focuses on expression rather than technique/product; therefore, no art experience is required for participants to benefit from the journey. Nikki also offers e-counselling for those who prefer to meet online, and is available to anyone in Canada. Safety and Respect are central to Nikki’s approach to therapy. She creates and holds space in a way that allows each person to be exactly who they are, held in non-judgement and acceptance. Nikki will meet you where you are on your personal Path, and walk alongside you as a Guide while you journey into your internal landscapes to find the healing that is right for your unique Spirit.